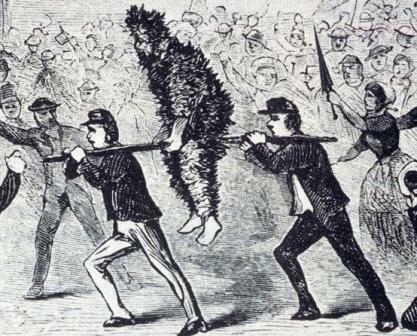 The tendency to react in the extreme to Newt’s illegal immigration debate performance is too easy. NEWT IS RINO! on one hand, and NEWT IS BEING PRACTABLE! on the other. I am Conservative (thank you Kurt Schlichter), and therefore I research, study and think. (yes, even with a bird brain). And since I’ve been followed, and unfollowed on Twitter for just telling facts about candidates without bias - for the record - I am not Pro-Newt, Anti-Newt, Pro-Cain, Anti-Cain, Pro-Perry, Anti-Perry or whatever. I am PRO-TRUTH and ANTI-BULL****. After reading the study (pdf) Newt mentioned in the debate and watching the videos (below), I was encouraged (but not yet sold on) this Krieble Plan, although Heritage, Freedom Works and even Mike Pence of Indiana support it. Let’s first talk about why we were all searching for pine tar and feathers last night. What Newt actually said. I do not believe that the people of the United States are going to take people who have been here a quarter century, who have children and grandchildren, who are members of the community, who may have done something 25 years ago, separate them from their families and expel them. I do believe if you’ve been here recently and have no ties to the U.S., we should deport you. I do believe we should control the border. I do believe we have various penalties for employers, but i urge you to look at the Krieble Foundation plan. The party that says it’s the party of the family is not going to adopt an immigration policy which destroys families who have been here a quarter century. UNLESS YOU’VE SUCCESSFUL EVADED THE AUTHORITES FOR 20 YEARS OR MORE (WTH?). I don’t know what it is about George Bush, Rick Perry, Mitt Romney, Newt Gingrich and the Republican party that don’t understand the concept of “legal” versus “illegal” with “illegal” meaning consequences for their actions. Isn’t one of the reasons that liberals and the Obama administration try overtly illegal escapades like FAST & FURIOUS and SOLYNDRA because A) They’ve gotten away with so much in the past and B) Because they’ve calculated that there is a fair chance that they can get away with it? 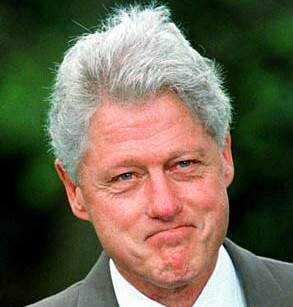 Bill Clinton committed sexual harassment, perjured himself, illegally took campaign money from the Chinese, sold secrets to foreign governments, AND WASN’T EVEN IMPEACHED. It is YOU AND I who have educated these people that they can get away with murder because we NEVER truly prosecute them fully or make punishment severe. And if not us, it is at least the people you and I have elected to represent us. Which is why WHAT Newt said is important. If we have caught voter intimidation, Solyndra payoffs, giving guns to Mexican drug lords, forged citizenship documents and secret collaboration with the UN’s IPCC to subvert the American public – WHAT ELSE has Obama gotten away with that we DON’T know about? It is a fair evaluation in these debates to ask if the next President will not just hold these people accountable, but will they truly set a standard of law ENFORCEMENT that will deter criminals inside and outside our borders? LET ME ACKNOWLEDGE, there IS a very real, “human” issue at stake in this immigration debate. Families could be torn apart. TWENTY FIVE PERCENT of all Hispanics have an illegal in the family somewhere. Fathers might not be able to support their children. There are at least 3 million children who are United States citizens according the 14th Amendment who would suddenly be sent off to a “foreign” country with the threat they are taken there by the force of their parents or the law. I will describe in PART 3 my personal story of facing up to the consequences of breaking the law so you understand that I understand. Capiche? Newt has been consistent. In 2004 he signed a Wall Street Journal Op-Ed piece with many respected conservative leaders such as Jack Kemp using Reagan quotes, and deaths of 2,000 immigrants dying (literally) to get into America to adopt GWB’s guest worker program to accommodate the 5.5 million new illegals who came across even though there was a 3 fold increase in border agents. Tom Tancredo (PolitiJim crush), Paul Weyrich, Michelle Malkin (PolitiJim crush) and Phyllis Schlafly wrote a WSJ reply agreeing in part but chastising the first group for not placing enforcement of existing laws and border control first. Oddly – both sides are not acknowledging the arguments of each other. Newt (and his side) do have an argument. Mexico doesn’t have an illegal immigration problem on the US border because there is no great financial incentive in the form of better paying jobs. US job demand (and it seems the data shows that there are many that Americans won’t fill) is an economic necessity and deportation won’t stop that problem. We don’t know who or where these people are now – and if we close borders it will be very expensive and extremely difficult to get the REST of America to support the use of force find, much less remove them. Newt separates those here for fake “citizenship” from those here as migrant workers just wanting a job. Gingrich and gang does not consider allowing an “undocumented worker” who CURRENTLY has a job here, being granted a LEGAL (and temporary) right status to be “Amnesty.” To them, amnesty is a permanent right to be here through citizenship. (More on this in Part 3). He absolutely appears to be for allowing those here illegally with jobs to leave and come back in a week after they’ve passed fingerprinting, background checks and verified they contribute to our society. Now, I want to say "Go home" to lots of people. I want to between create a border that's controlled. I want a guest-worker program outsourced to American Express or Visa or MasterCard. I want English as the official language of government. I'm willing to be tough, but I'm not willing to kid people. And I can't imagine any serious person here in this country who believes we're going to tear families apart that have been here 20 or 25 years. Heritage’s own economist doesn’t endorse it with high unemployment rates. In the presentation at of Newt’s plan in 2005, Tim Kane endorsed the plan and mentioned that the economy was strong. He further cautioned that if unemployment weakened (then at about 4%) he would not like to implement the program. Click Here for Part 2 – Newt’s Immigration Idea and the ULTIMATE Conservative Anti-Illegal Immigration Plan. Click Here for Part 3 – What Newt SHOULD have said, the Political realities of Hispanic polling and conservative proposals, and the PolitiJim immigration proposal.